Automotive technicians diagnose an inoperative air conditioning system with a digital scanner, physical inspection, and under the hood examination. Trying to diagnose the precise cause of an inoperative air conditioning system can be frustrating and very time consuming for most mechanics. 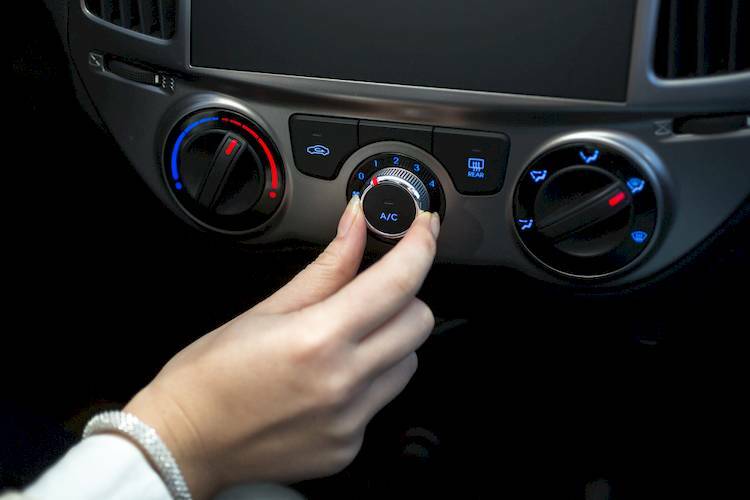 With multiple components that make up the AC system on today's modern trucks, cars and SUVs, there are virtually dozens of potential mechanical or electrical flaws that might contribute to an AC unit that isn't working inside the vehicle. However, just like any other mechanical problem, there are a few tips and processes that any mechanic can follow that will expedite their diagnosis process and complete air conditioning system repairs faster and easier than before. Noted below are a few tips that can help a mechanic of any level or experience find the root cause of most AC issues that plague vehicle owners in the United States. If a vehicle was made after 1996, it's likely that the majority of issues have been recorded are available for download from the vehicle's ECM. Virtually every system of a vehicle is monitored with sensors and connectors that stream real-time data to the vehicle's Engine Control Module; this includes the air conditioning system on most modern cars, trucks and SUVs. As such, the best way to begin any diagnosis is to download any error codes stored inside the vehicle's ECM with a digital scanner. Most mechanics invest money in ensuring they have the best tools to complete repairs efficiently. However, when they use a high-quality scanner that can download all error codes, the process of finding the root cause of anything that is not functioning correctly in a vehicle becomes much quicker. After the mechanic has completed the digital scan and found any error codes, those findings will typically lead them to a specific part or piece. However, before diving into the engine compartment and removing parts and pieces; it's a good idea to complete a physical inspection of the system. Just like a test drive, this will give the mechanic a real-time view of the problems that customers are experiencing. Turn on the AC while the vehicle is running. Turn the AC switch to the fresh air setting (this will ensure the air is not recirculated which can produce misleading results). Make sure the AC switch is at its highest setting. Once the mechanic has set the AC system up to monitor, they should Listen, Feel and Smell for any symptoms that will indicate problems with certain AC components. Listen: By listening to the AC system as it is fully engaged, the mechanic can determine where problems are occurring. Noises like a grinding noise, or clunking sound might indicate a problem exists with the air conditioning system motor or compressor. It might also indicate a problem exists with the cabin filter if it sounds like the AC system is struggling to push air into the cabin. Feel: By taking time to feel the air blowing into the cabin, the mechanic can also pinpoint other mechanical issues. If the air is warm, it typically indicates problems with the AC system including low coolant, or issues with the compressor. It's also important to feel the air for the pressure it's supplying into the cabin. If the pressure is low, it's most likely due to blockage in the ventilation system; such as the filters or the vents themselves. This can; and often does cause many of today's issues with AC systems. Smell: By smelling the air that circulates through the vehicle, the mechanic can also determine if a coolant leak exists or again, that the cabin air filter needs to be replaced. Look for any coolant leaks. A closed AC system does not leak coolant; so if the air is warm, it's most likely caused by a coolant leak. Fix the leak then recharge the system. Check for freezing. If during your physical inspection you notice that the air was cool, but then got warm, it may be due to excess moisture inside the AC lines that will contribute to freezing the compressor. Check for vacuum leaks: Many AC systems rely on vacuum pressure to run efficiently. Most of today's problems with AC systems can be easily diagnosed when a mechanic completes the above process for diagnosing a problem with the system. If you’re a certified mechanic and you’re interested in working with YourMechanic, submit an online application to work for YourMechanic for an opportunity to become a mobile mechanic.